The sun is shining bright! Summer is finally here! 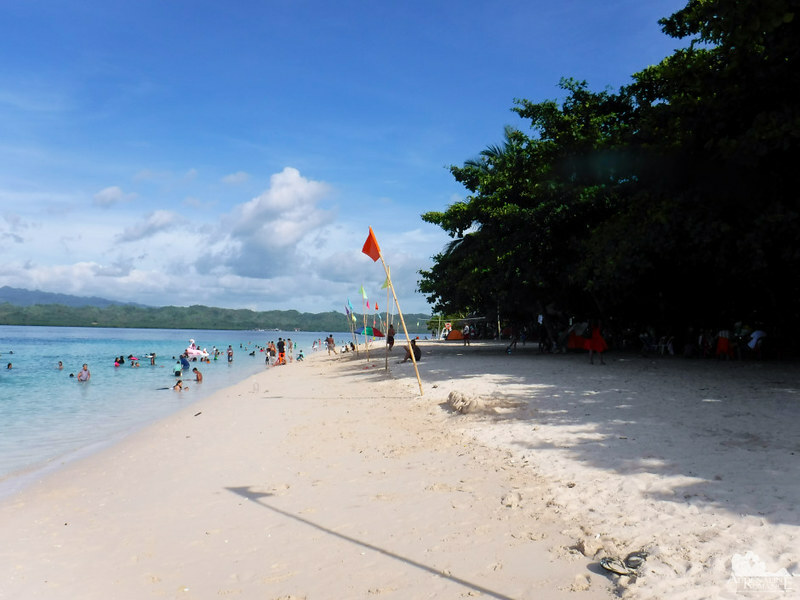 And what better way to enjoy this hot, sunny season than to bask in the sun, swim in clear waters, and breathe the salty breeze in one of the innumerable white-sand beaches and many pristine tropical islands in the Philippines! 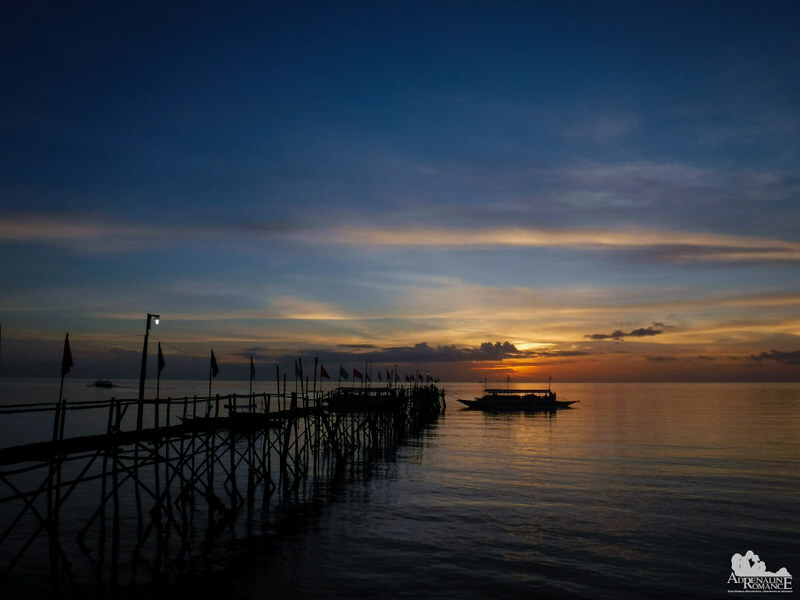 If you’re having a hard time choosing which of our tropical paradises to set foot to, we recommend Canigao Island in Matalom, Leyte, Philippines. That is just what we did! 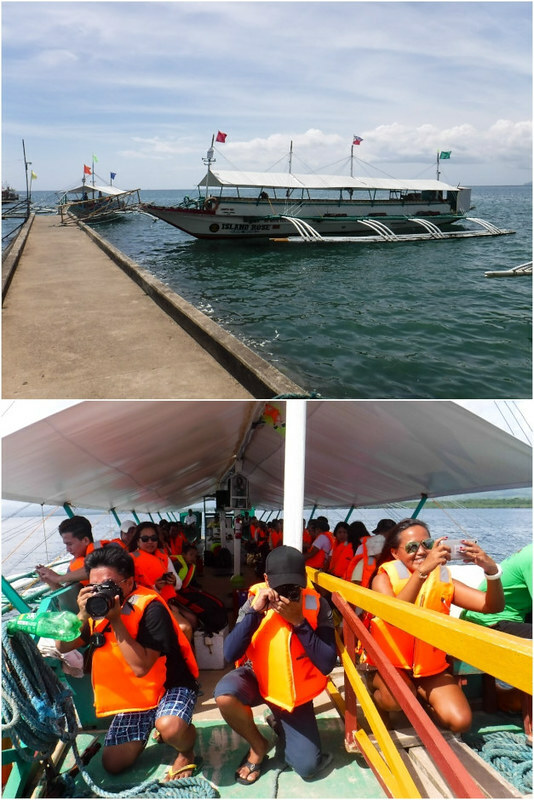 After docking at Inopacan port, we rode a jeepney that took us back to Hilongos. We took another jeepney for Matalom, constituting a 30-minute ride. 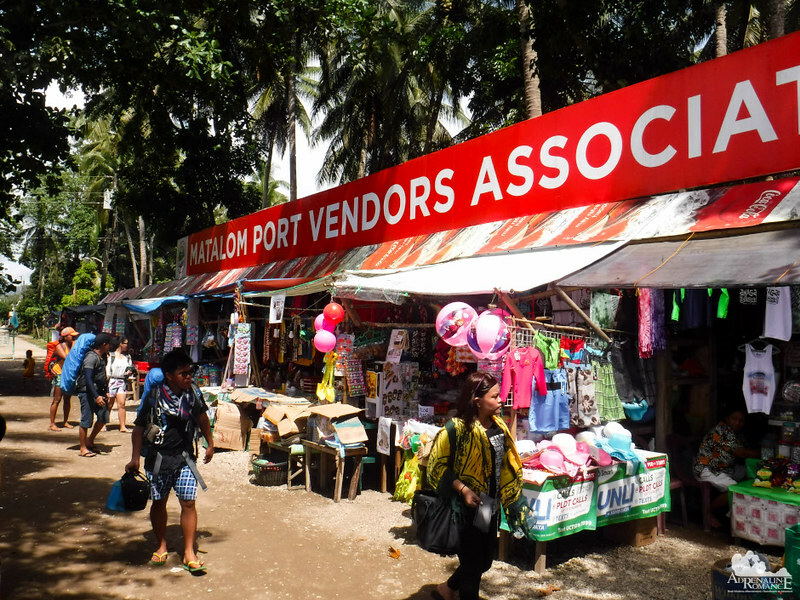 We ate a hot lunch before walking to nearby Matalom Port where we will catch a regular ferry to Canigao Island. 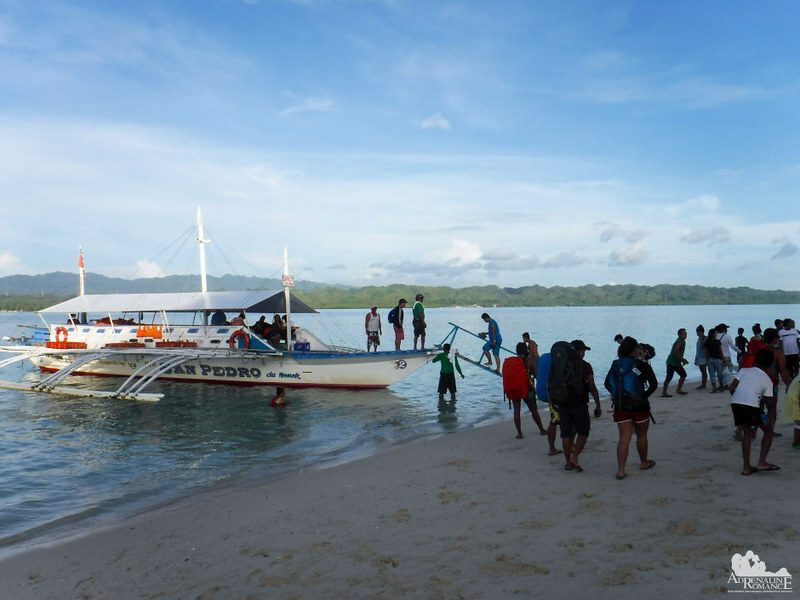 It is easy to see that Canigao Island is a popular tourist destination judging from the numerous stores and souvenir shops that line up the port. While Sweetie processed our registration, the others took a look around. One of the coolest things about Matalom Port is the long bamboo walkway that juts out from the shore. The water near the shore is too shallow for boats to float, so a pier that goes to deeper water must be constructed. In less than 10 minutes, the barker announced that our boat is ready for boarding. Excitedly, we picked up our Deuter backpacks went on board along with other passengers. 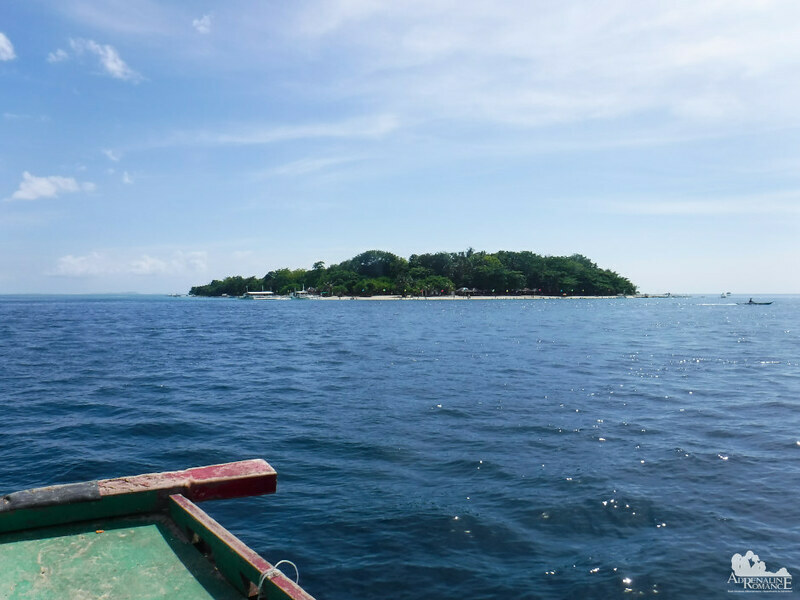 This regular ferry service makes it incredibly easy and convenient to visit Canigao Island. The vessel, which can seat around 70 people, is large, comfortable, and powerful. 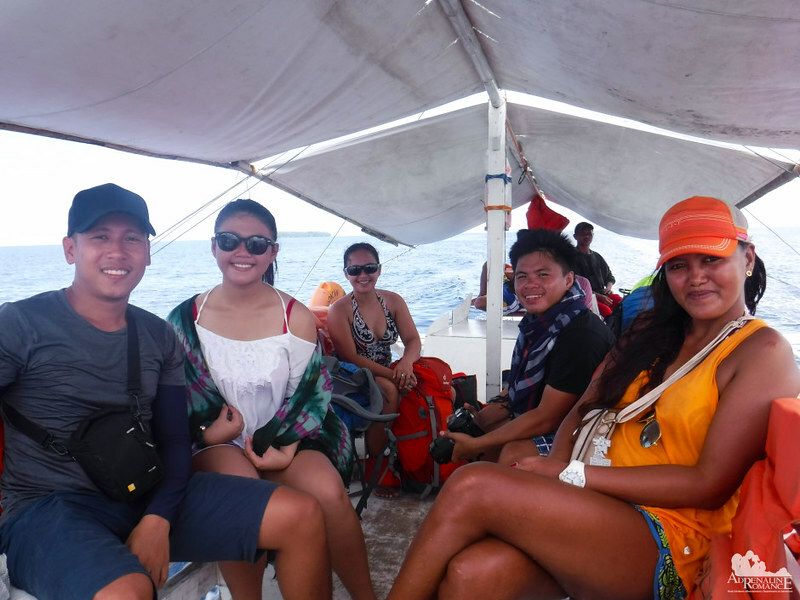 Life jackets are provided to all passengers as per Philippine Coast Guard regulation. Lai, John, and Ferna had the time of their lives taking photos of beautiful seascapes. And it was indeed beautiful! Canigao Island is a white-stripped green dome that contrasts the endless blue of the sky and sea. As we got nearer, we could see several rental boats and many happy beachgoers. We disembarked from the boat and started looking around for a place where we can settle down. 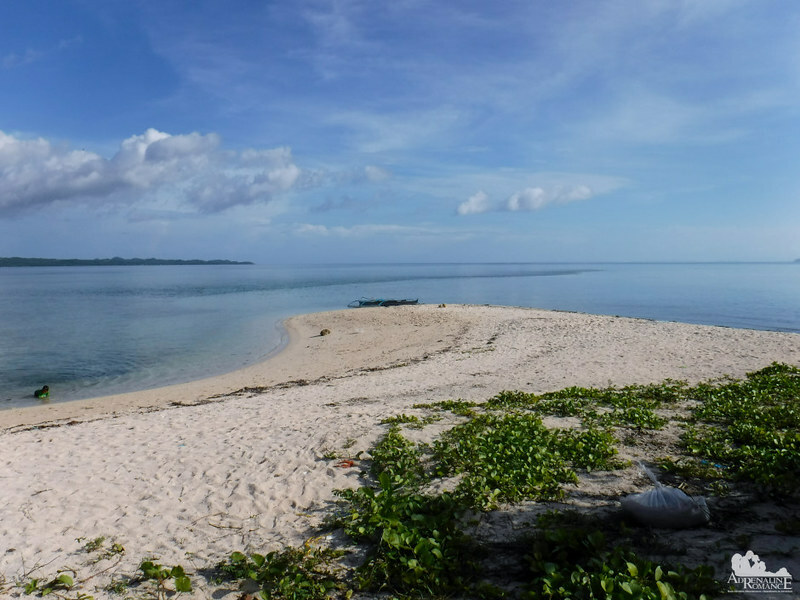 Half of Canigao Island is surrounded by a long length of sandy white beach. Like many wonderful beaches we’ve been to, the warm sand is powdery soft, and it’s a total joy to dig our feet in that softness. 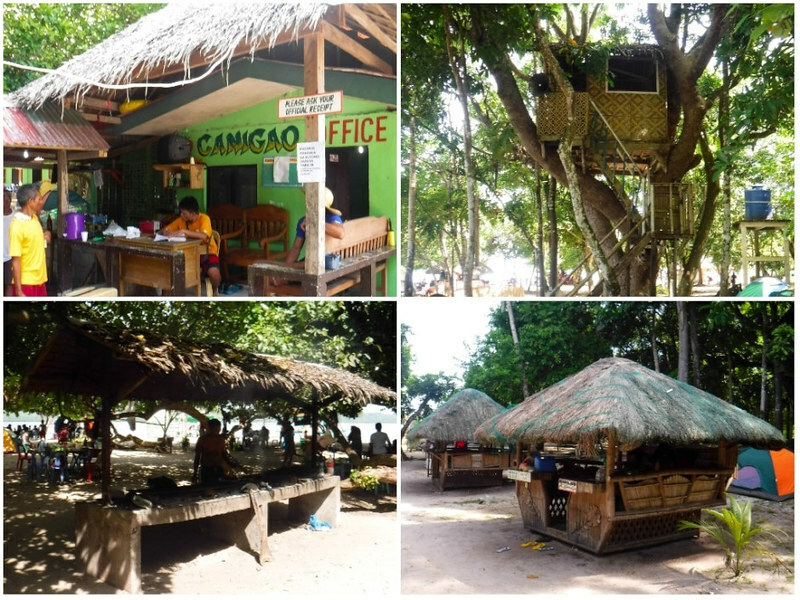 As an established local and tourist destination, Canigao Island has the usual facilities that make any guest’s stay a comfortable, memorable, and pleasant one. They have an information center, open-air cottages, grilling stations, and even a nice tree house. One of the best things about Canigao Island is that they execute good garbage management practices. 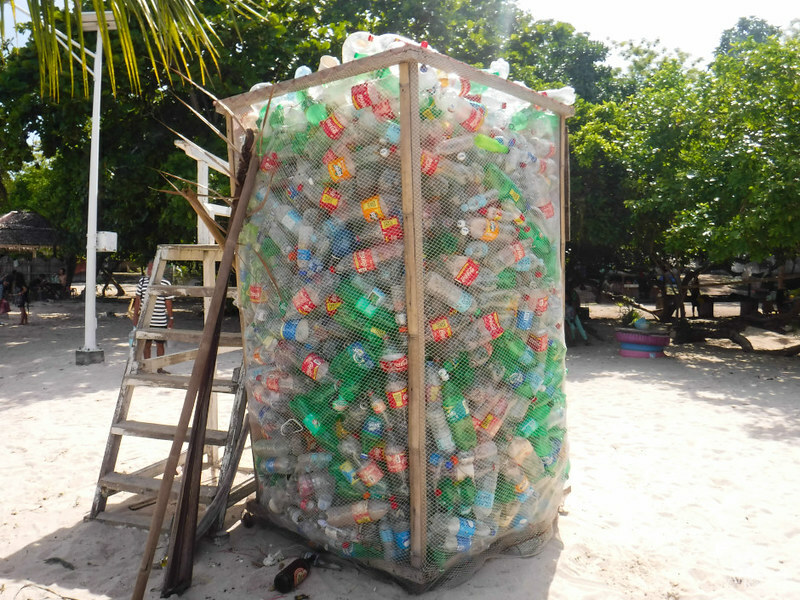 Garbage is properly segregated, and plastic bottles are placed in a large netted container. Later in the day, the bottles will be taken back to the mainland where they will be disposed of properly. Now that’s called taking responsibility! 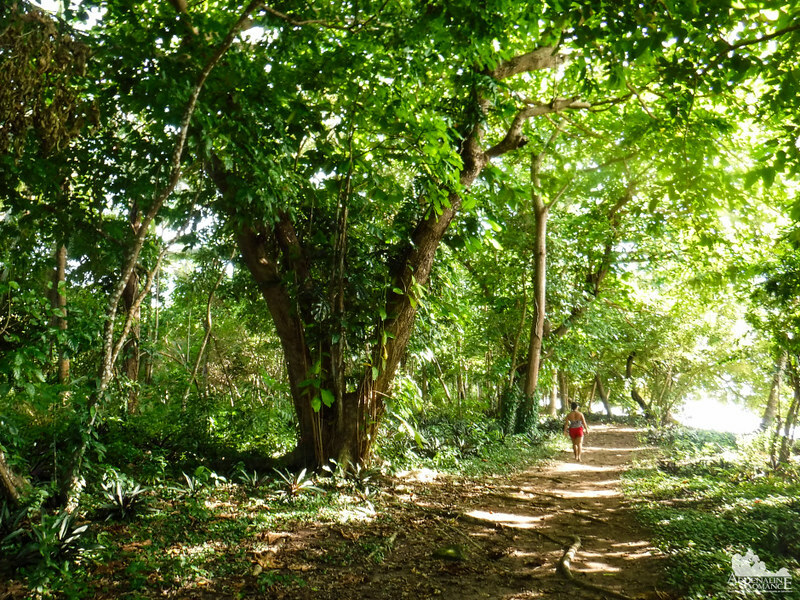 The green trees in the middle of the island are lofty and healthy. They are a welcome sight for those who want to seek refuge from the blazing summer sun. 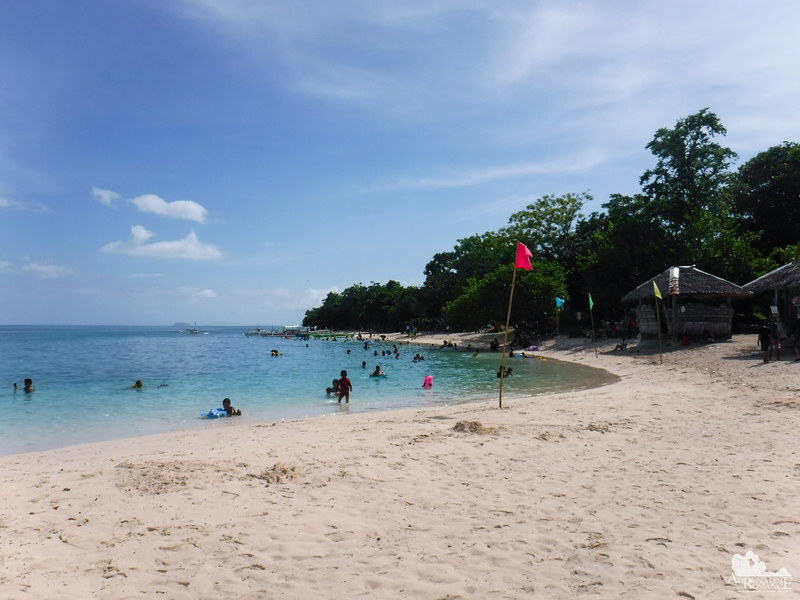 But do you really want to stay under the shade when just in front of you is a stretch of beautiful white-sand beach preceding a vast patch of clean, cool aquamarine water? Unless you are under medication that somehow requires you to stay out of the sun or sea, you can’t resist the temptation to splash in! We asked the caretakers if there’s a nice snorkeling area nearby. They directed us to a coral field a short distance from where boats dock. Let’s check it out. 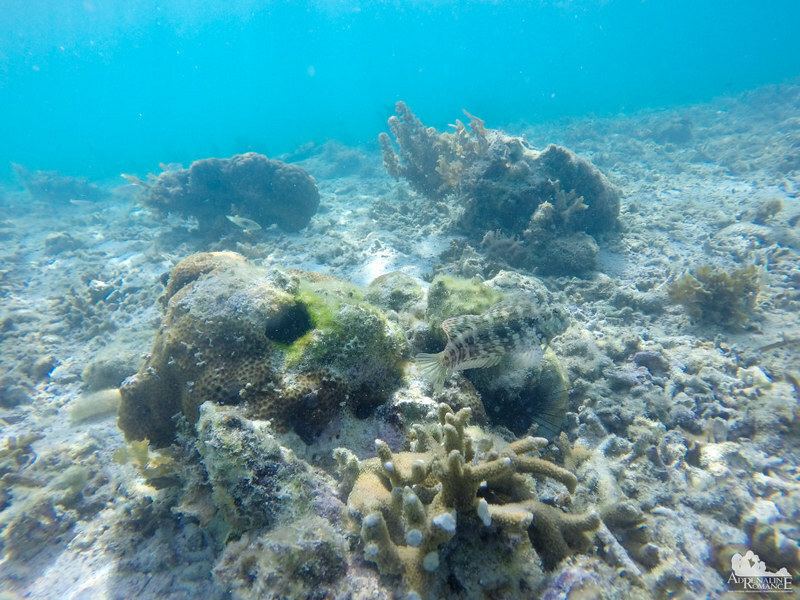 After a short swim less than a hundred yards off the shore, we came across healthy hard and soft corals. 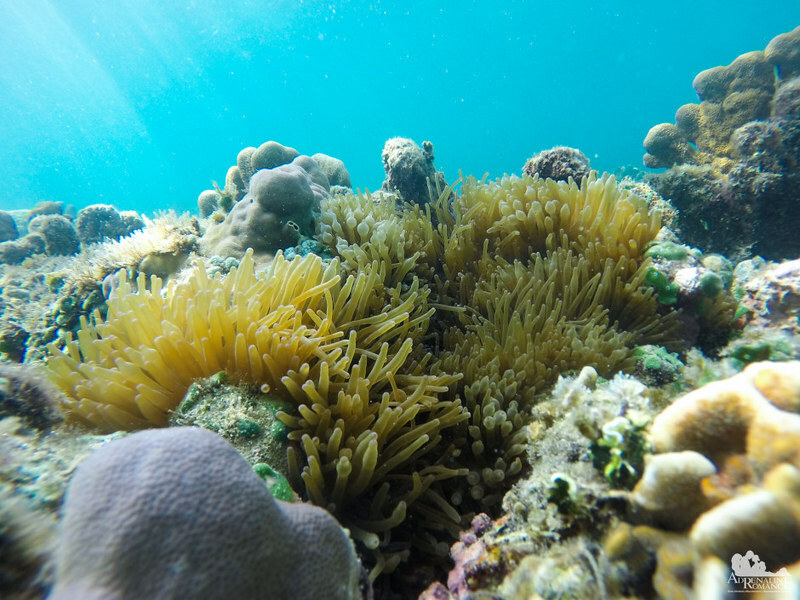 Like the marine sanctuary in Digyo Island, the corals in this area are scattered in splotches, broken by patches of sand and sea grass. Stinging anemones, the homes of clownfish, are everywhere. They are quite fat and healthy. Unlike in Digyo Island, no boats are permitted to cruise in this area, allowing snorkelers to safely enjoy the reef. It seems that boats are restricted only to certain places in Canigao Island. Staghorn corals grown in abundance. Their entire “horns” are a healthy yellow brown, which means that they have not been affected by coral bleaching….yet. A wary lizardfish gave me a close look before swimming away. Lizardfish, like many fish in the reef, use a form of camouflage to conceal themselves from both potential predators and prey. No matter how seemingly small or insignificant a creature is, you bet it has some amazing ability to survive or to protect itself from danger. While the others enjoyed the warm water, Sweetie and I decided to explore the island. We started off by walking on a wide beach that was surprisingly devoid of people. 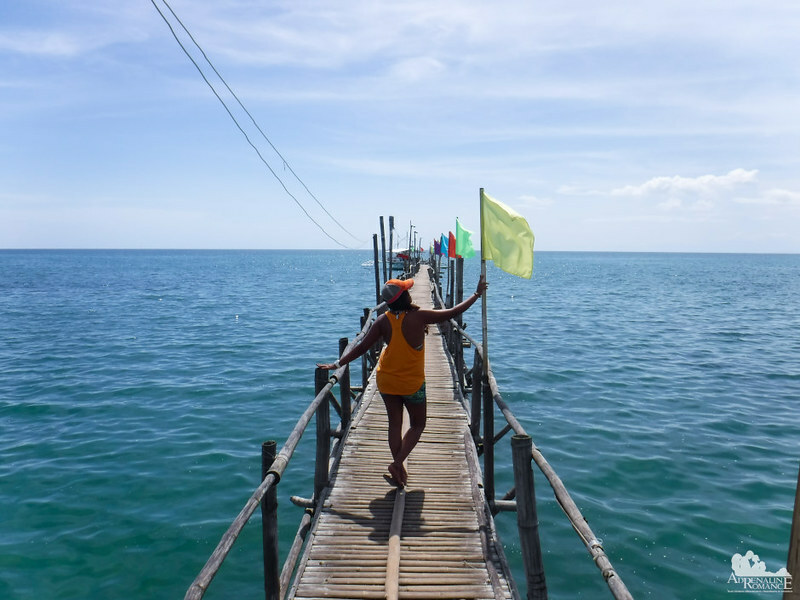 When we asked a caretaker why few people swim in this part, he explained that the area is a protected marine sanctuary. Oh, boy! We would have loved to swim here. 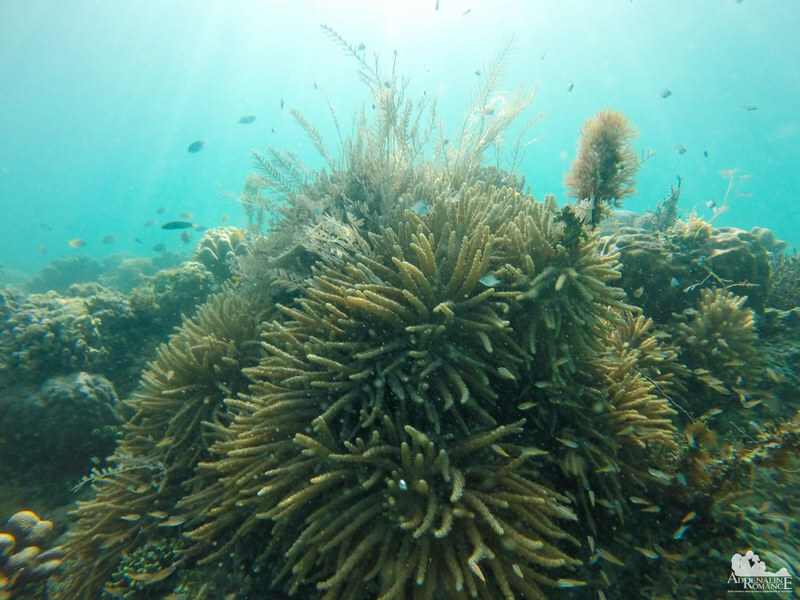 A marine sanctuary is a host for many spectacular marine creatures. Perhaps we can see turtles? Large fish? Rays? But of course, we have to follow the rules. 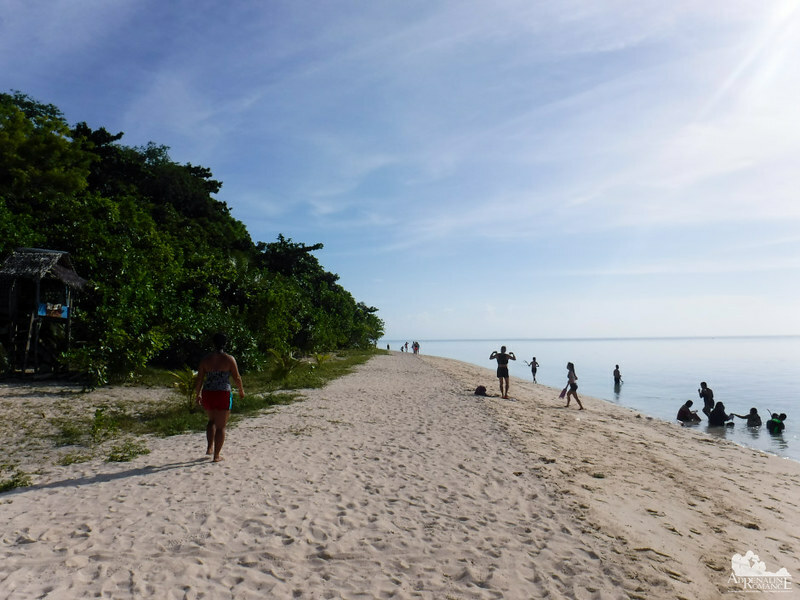 Canigao Island has an established hiking trail that goes around the island. 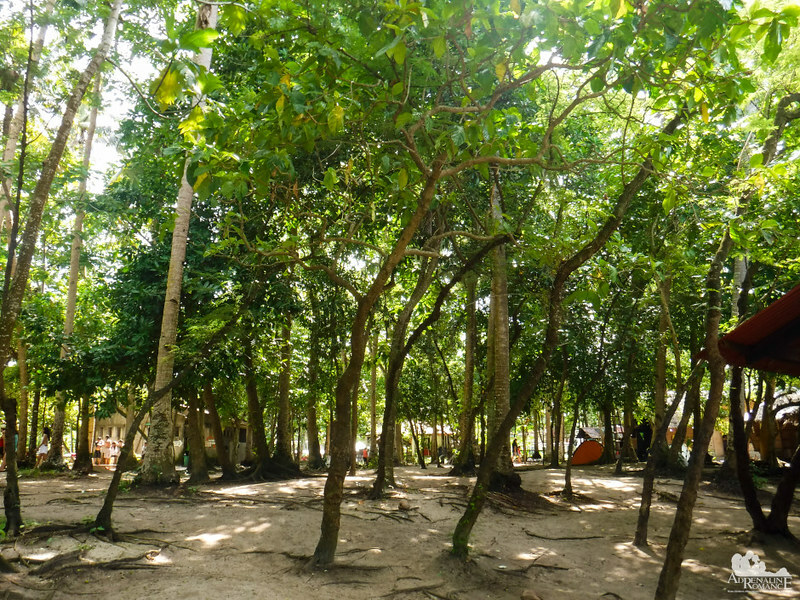 It takes you inside thick, quiet woods away from the happy din of beachgoers. The farther you hike, the more in tune with nature you become. The trail led out of the woods and skirted beside a small secluded sandbar away from beachgoers. Judging from the few people loitering around, it seems that this lonely place is used as a dock by local fishermen. We do hope locals would do their part in taking care of Canigao Island by not leaving their trash behind. They truly have a natural gem here that needs to be taken care of. We frolicked in the warm waters for several hours until late in the afternoon when our pump boat was scheduled to pick us up. We quickly showered, changed into fresh clothes, and re-packed our stuff. Yes, we are all Deuter fans! 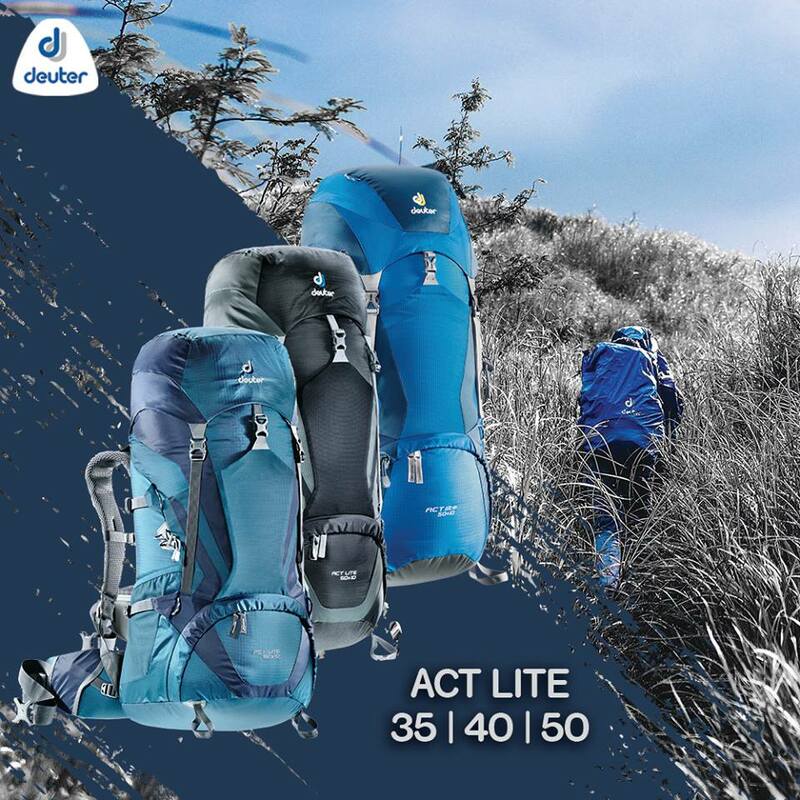 Everyone in this team is using a Deuter Air Contact, Futura, ACT Lites, and ACT Trail. These are all amazing, high-quality backpacks for adventurers! At 5:15 PM, our boat arrived. We were among the last visitors to leave the island. We were reluctant to leave—and understandably so. Canigao is a pretty island where beach lovers can truly enjoy their summer holidays. Twenty minutes after, we docked at the Matalom Pier. 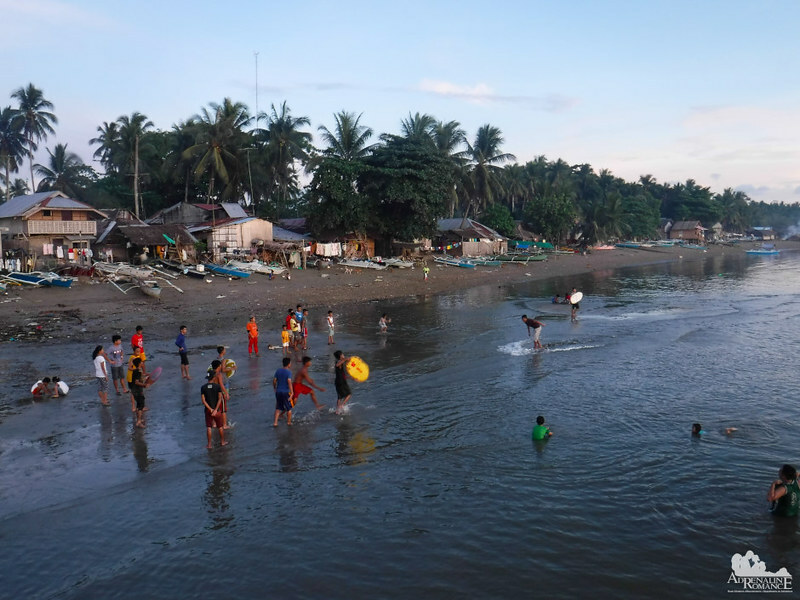 The nearby public beach became a playground for lively local kids practicing their skimboarding skills using handmade skimboards made of scraps of local plywood. We could also hear their moms shouting over the din, asking them sternly to come home for dinner. We wish today’s kids will engage in physical activities and sports like these. These activities are not just fun but they also allow kids to practice skills, develop sportsmanship, socialize with others, and enjoy nature. Sadly, many children today are spoiled and trapped in the artificial world of social media, television, and video games. Even though we had an initial disappointing island hopping adventure in Inopacan, our weekend adventure ended extremely well. Mother Nature always has the best and most amazing ways to remedy our problems as individuals and society as a whole. But we can only enjoy her balm if we open your eyes, ears, heart, and soul. The day’s majestic orange-hued sunset certainly confirmed that; it was Mother Nature’s farewell smile for us. Any trip with Sweetie and I is fun. But this one was exponentially fun thanks to these wonderful people and well-respected travel bloggers who accompanied us. A hot, shining summer is indeed just around the corner! Don’t waste it by being a couch potato. Don’t limit your enjoyment in malls. 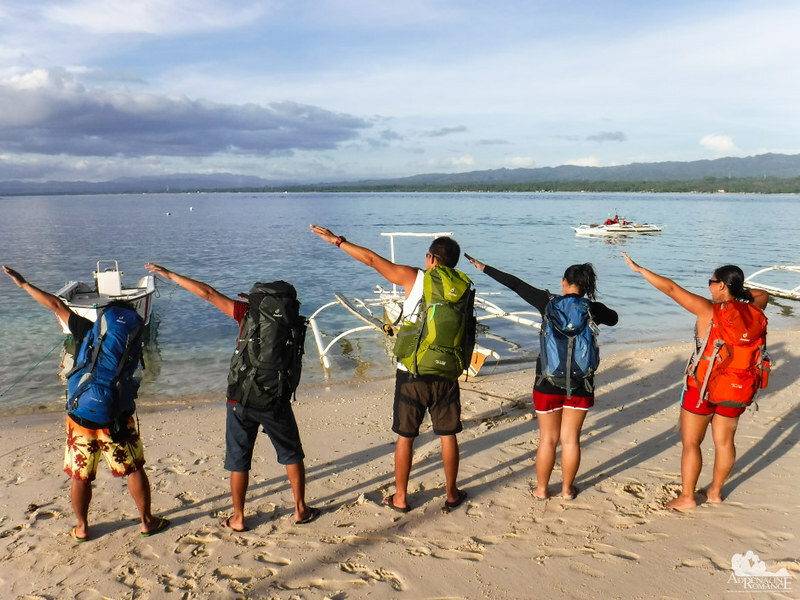 Pack your bags, wear your swimsuit, and visit our lovely Philippine islands, starting with dazzling Canigao Island! Click the link for Cuatro Islas/Digyo Island rates. * Note that we did not include meals, snacks, tips, and other personal expenses as you may have different preferences or sharing schemes from us. Rates can change without prior notice. Hi. I saw 1 photo that seems to show healthy corals. Do you still have other photos of the corals there? I just want to know if its highly recommendable for diving. Would be great if you can share with me your thoughts. Thank you! 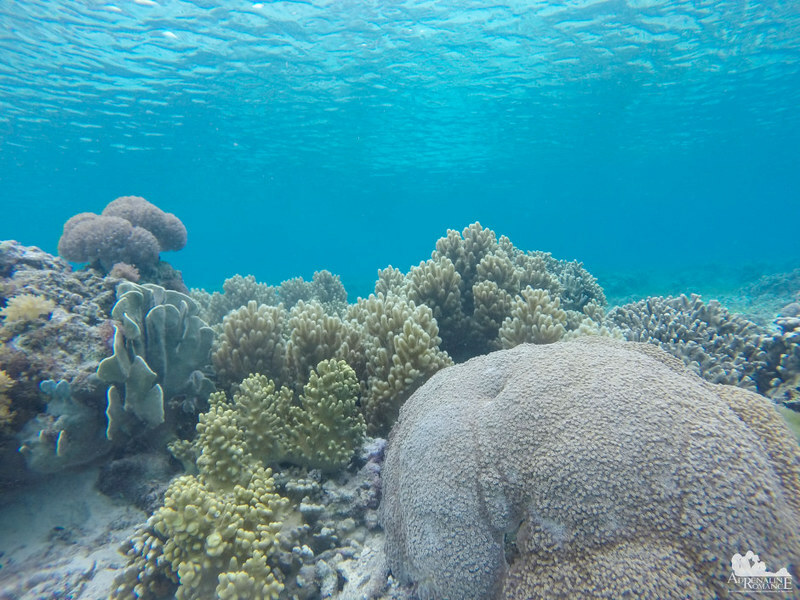 Yes, the corals in Canigao Island are reasonably healthy. However, there are no dive outfitters there, so we can assume that there’s no scuba diving there. You can just go snorkeling.